Cleveron is the first known company to introduce cloud-based smart mailbox on the market. 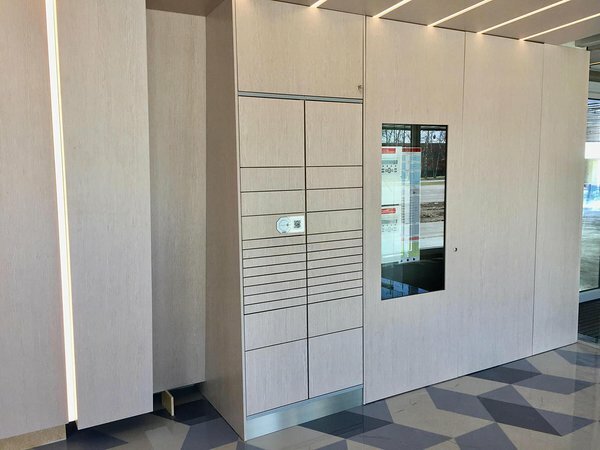 Cleveron’s parcel locker SnapLocker serves as a flexible mailbox that can house anything from a regular letter to an online store order. Together with a cloud-based software, tenants have a key-free solution for their letters and parcels. The first smart mailbox was installed in a newly developed smart house LAEV. LAEV does not feature any old-school mailboxes and mail is received solely from smart mailboxes. Smart mailboxes can be accessed by any courier, who the tenants have given rights to. They choose a suitable sized slot for the parcel and once the drop-off is made, the tenant receives a notification for pick-up. Tenants do not have a designated mailbox any more that they have to check for mail. Cleveron’s Chairman of the Board Arno Kütt comments the future of mailboxes “Parcel delivery is facing tremendous changes and mailbox as such needs to keep up with the customers’ expectations to mail delivery. Cloud-based smart mailboxes are the new reality.” According to Arno Kütt, the demand for smart mailboxes is presents. Cleveron plans to introduce smart mailboxes on the markets in Europe and North America.